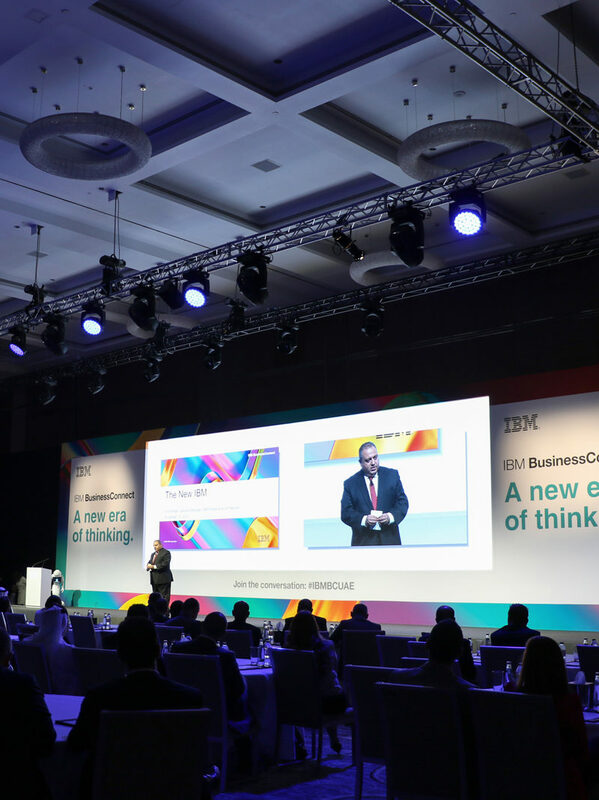 We equip meetings and conferences of every size, providing conference and show technology to support general sessions, breakout rooms and exhibits. 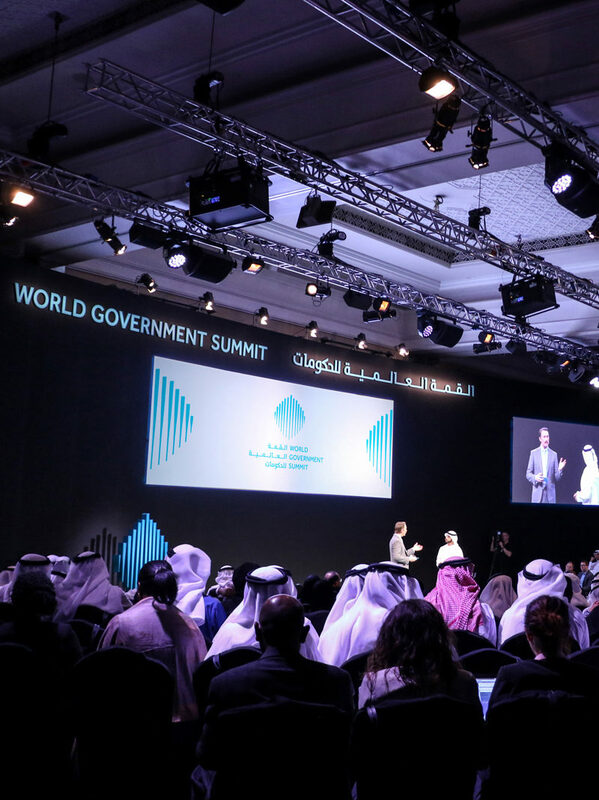 We supply everything that is needed to accomplish high-end solutions with complete staging, audio, lighting, video and content support. 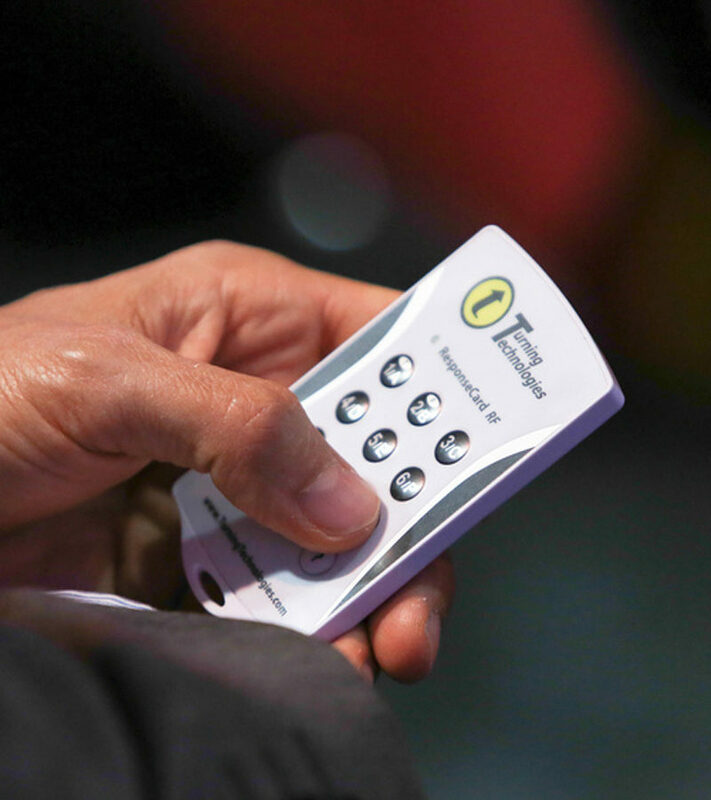 Our abundant state of the art equipment includes discussion systems, simultaneous interpretation and a voting system which can be used by over 2000 delegates. Our database includes the most experienced interpreters who can assist in any language required. 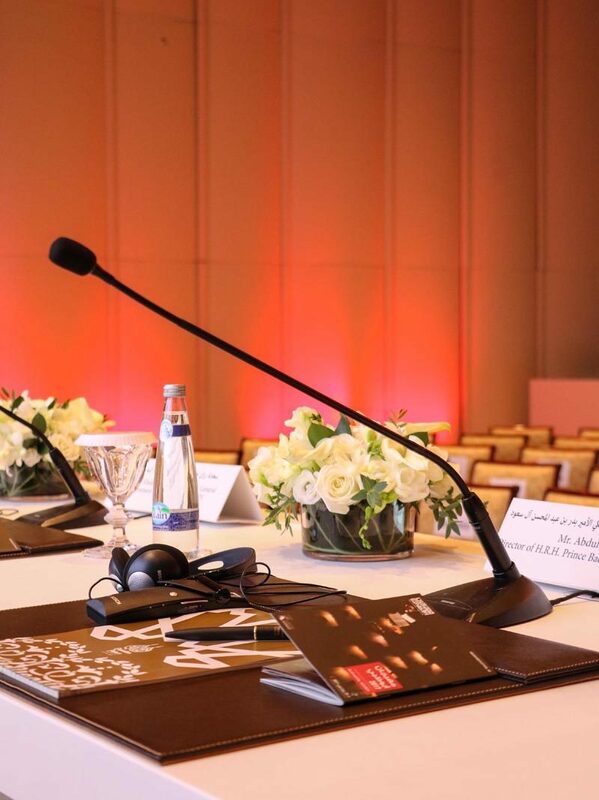 Our simultaneous interpretation systems, housed in soundproof booths, can interpret up to 8 languages at any one time. We complement effective communications with clean, clear audibility that is fundamental in engaging your audience. Within our complete range, we have digital 8 channel transmitters, pocket receivers, lightweight headphones, medium and high powered integrus radiators, interpreter desks and sound proof booths. 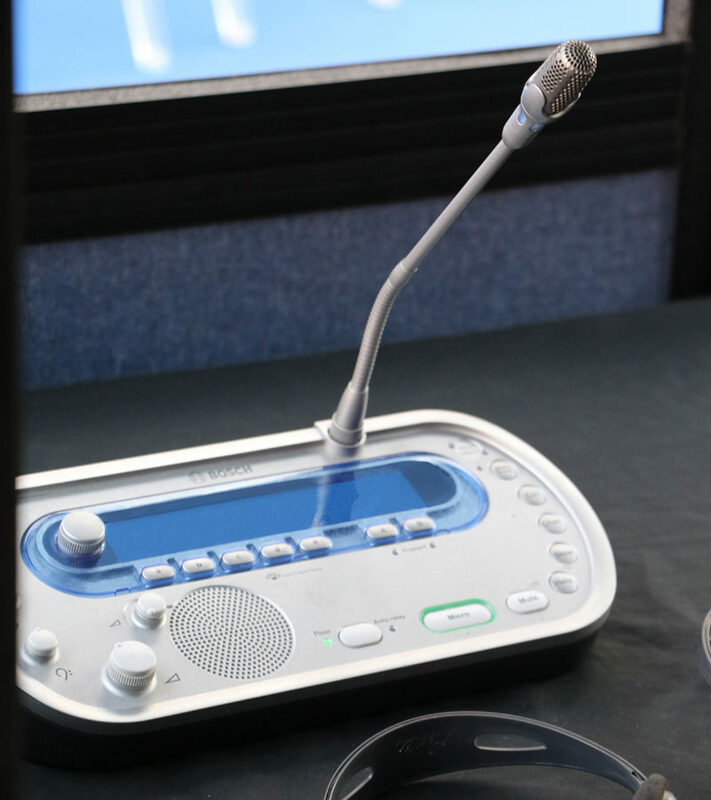 As security is paramount, both these state of the art Bosch wireless discussion system and Simultaneous interpretation system provide the ideal solution, one which is also used by the United Nations. Protec also manage translation and interpretation services with the best translators and interpreters from around the globe, who can assist in any language required and who prepare themselves with a background knowledge appropriate to the discussion topic prior to the job. We can arrange SIMTRANS demonstrations for you anytime you wish to experience its absolute effectiveness. 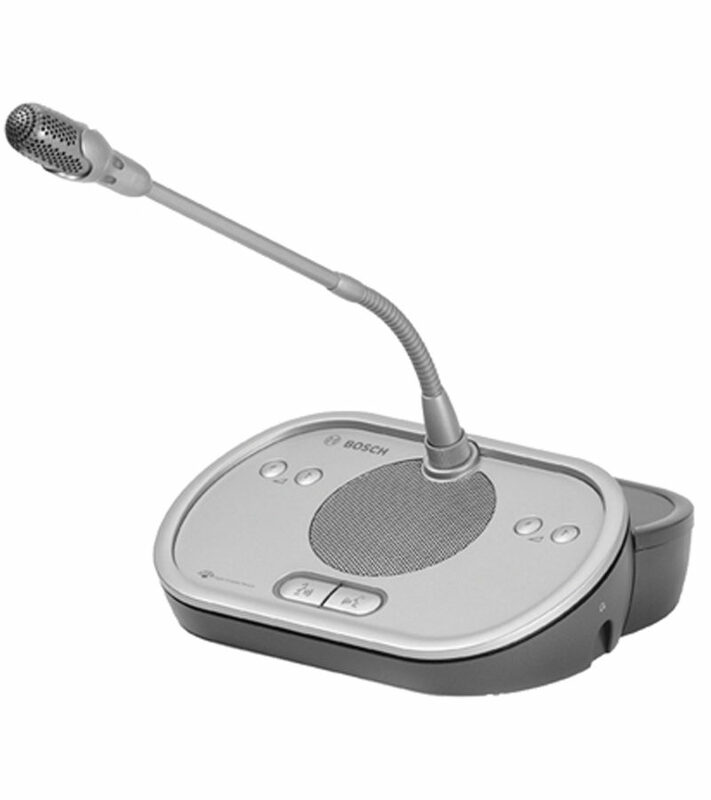 Discussion Mics: Our range of discussion mics consists of wired and wireless mics for small and large meetings. The beauty of the wireless discussion mics is the ease of set up where mics can be added or discarded at will within a matter of seconds. IE, if a delegate turns up unannounced you can add a mic as they sit down and it’s ready to go. If delegates don’t show then you can take mics away without having to reconfigure the wiring of the system. 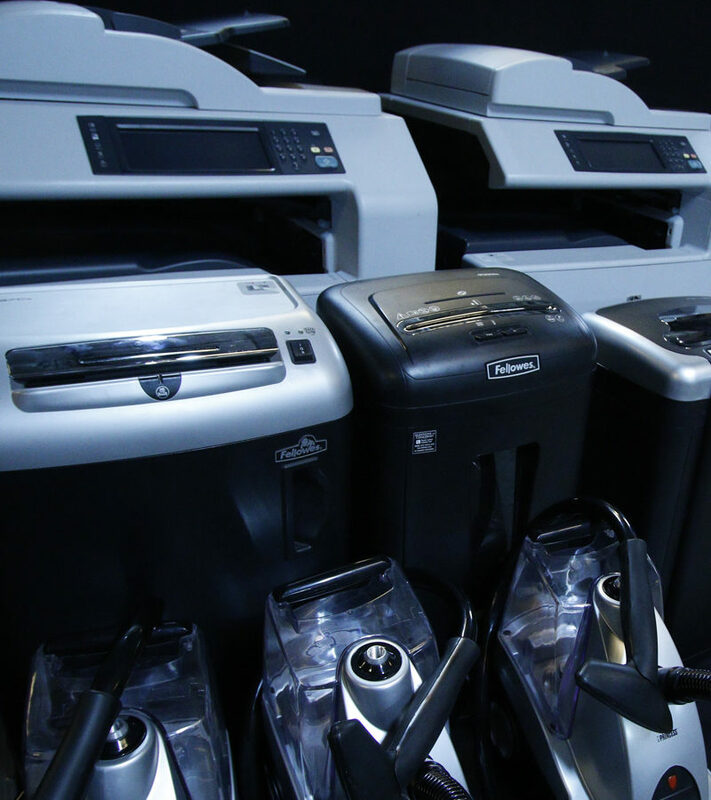 We offer full conference office support equipment – printers, copiers, shredders and steamers available for hire. The ResponseCard is the size of a credit card. It provides the features and functionality required to ensure selections are accurate, timely and effortlessly transmitted to the presenter’s receiver. Its lightweight, rugged and durable enclosure allows it to be easily transported from room to room or around the globe for optimum portability. ResponseCard RF LCD is compatible with Turning Point assessment software.